All Moorcroft is made by hand from start to finish and there are many who say that the complete individuality of every single piece makes perfection an impossible objective to achieve. Not so! Individuality itself is just one dimension of perfection. Humans are not robots and we are all individual in a million ways or more. Moorcroft sets its own benchmarks for excellence and the final trial of a design considered worthy of production is called The Master – the piece used by every Moorcroft artist to match every piece they work on. Their own work is set against The Master thereby ensuring that it is as perfect as the ingenuity and skill of the tubeliner or painter can make it. The selection process at Moorcroft is as rigorous as any in the world, and not all pieces emerge unblemished in their quality assessment. The petals of a poppy may be slightly too red: the tail of a bird may be too short or the leaves on a tree accidentally painted too blue or too brown. The list is endless. These imperfect pieces are never sent to Moorcroft retailers, but are often placed in our bi-annual sales. They are never ‘red-dotted’ and sold in our warehouse rummage sales. All of them are far too good for that. At one time, they graced the shining glass shelves in the Moorcroft Factory Shop, but in the days of cyberspace, these special pieces now find themselves on the new Outlet Page within the Moorcroft Website. All of them have a charm and individuality of their own. 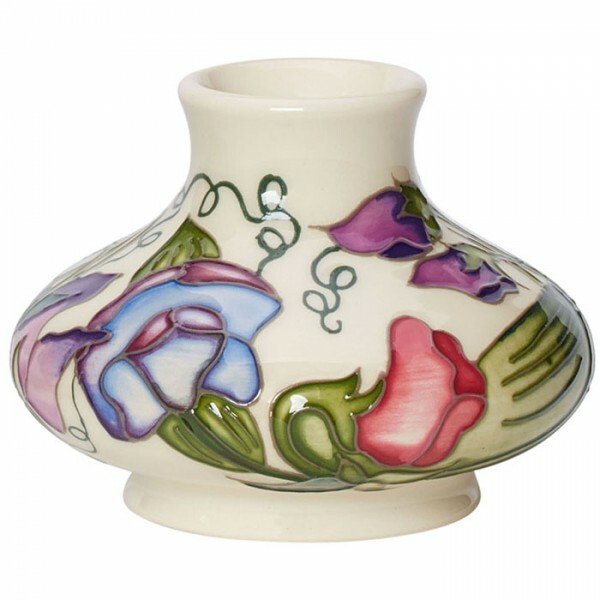 A selection are now offered direct from Moorcroft as worthy additions to your home collection, but at significantly reduced prices across the board. The truth is that wearing new clothes, the Factory Shop has arrived in cyberspace. In accordance with the Consumer Contracts Regulations 2013 faulty items cannot be returned and will not be refunded, unless an item is damaged on delivery and is not fit for the purpose it was made. Second quality pieces will not be supplied with presentation gift box. All imagery on this outlet page are best quality pieces and your piece could differ from such imagery as described above. W. Moorcroft Ltd is not affiliated to any online secondary market dealer and any assertion or implication to the contrary (whether using the Moorcroft name or not) is wrong. The full retail price on the barcode has been scored through with a cross to ensure that people are made aware of the fact these pieces are blemished. One of Nicola’s first designs featuring snowdrops was Heralds of Spring in 2000, winter irises and a..
Kerry Goodwin can pick a subject, and no matter how sensitive or profound the theme, can relay a mea..
With their delightful wisps and tendrils, sweet peas have made a lovely floral subject at Moorcroft ..
What is a Moorcroft second?All our art pottery is closely inspected before it leaves the Moorcroft f.. PLEASE NOTE SELECTED PIECES MAY NOT HAVE THE SILVER LUSTRE APPLIED. 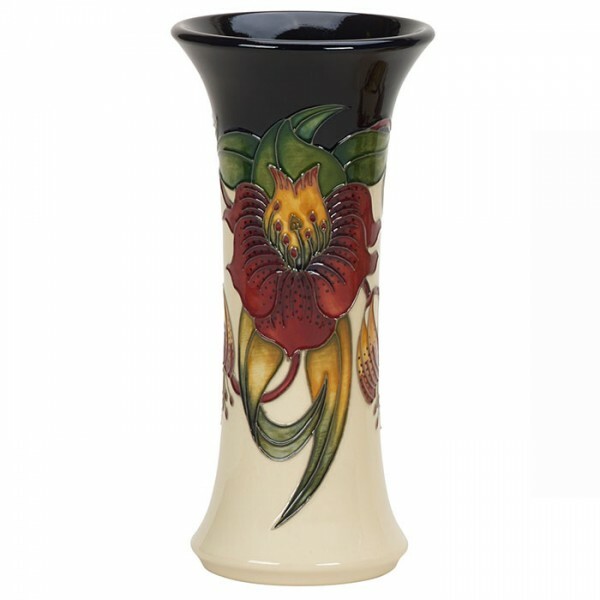 No design in ceramic art is the..
Moorcroft designer Nicola Slaney introduced Anna Lily in 2001. Since then, its rich and exhuberant f..
With a simple colour palette of woodsmoke blue and mossy green, Rachel lets pearly white clay come t.. Majestic ornamental koi carp glide across the surface of this delightful miniature vase with a ba..